Who else is is ready to Lose Weight & Feel Great? The “Lose Weight With Hypnosis” program will help you to feel good, look better and increase your energy. This program will show you the tricks to maintaining a healthy weight while still enjoying your favourite foods and taking control of those food cravings. Are you ready to get started and lose weight with hypnosis? Your first step is to arrange your free phone consultation. This is where we can discuss any issues that may have held you back in the past, decide how you want to move forward and see if hypnotherapy is right for you. To get started simply call Mark on 07568 455 809 to arrange your free consultation. Lose Weight With Hypnosis – Questions & Answers. Will I have to go hungry? No. When you are hungry you need to eat. This program will help you recognise when you are really hungry and when you are eating out of habit or emotion. Is the Weight Loss With Hypnosis Program the same for everyone? No. We tailor the program to your individual needs as everyone is different and we all have a different history. How does anxiety & stress affect weight loss? Everyone experiences anxiety & stress on a daily basis and most people handle these naturally. If you handle anxiety & stress badly, we need to work on these together as this really increases your weight loss results. Is the Weight Loss With Hypnosis program the same as the Hypnotic Gastric Band? No. The hypnotic gastric band program has been very successful, for many people. However, it is not suitable for everyone. You may have health issues or suffer from anxiety, stress or depression. We need to evaluate these and tailor the program to suit your needs. Usually, the Weight Loss With Hypnosis program takes 3 to 4 sessions of about 1 hour, depending on your needs. Your weight loss should always be at a speed that is comfortable for you and we prefer to work on healthy weight loss for long-term results. Hypnosis is a powerful way to change your behaviours and habits that may be causing your weight gain. Hypnotherapy will make you aware of these behaviours and give you self-control. Your next step is to arrange your free phone consultation with Mark, to look at the best way forward for you and answer your questions. Call 07568 455 809 today or complete the form below. Why is obesity and being overweight loss becoming such a big issue? Firstly we are being pushed repeatedly to buy more and more products, including food. Many adverts now link emotion to food and as a result, many of us use food to change our emotions. This means we eat at the wrong times or when we feel unhappy. Another issue is our modern busy lives. Time is often short and very often we eat unconsciously without recognising how much and exactly what we are eating. As a result, we become less aware of when we are full and often eat food despite being full. Why Do Slimming Clubs Not Work? Many people turn to slimming clubs when they need help with weight loss. Statistically, most of those people end up gaining more weight long-term, than when they started. One of the issues with these clubs is the constant magazines and messages about food. 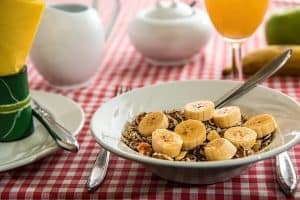 Rather than focus on being healthy, fit and energetic the focus is on food, food and more food. Very often these foods are those being sold by the clubs themselves. Another big issue is changing peoples self-image. A big part of what we do is to allow clients to see themselves as a healthier, fitter, slimmer person. If a person has a negative self-image or always believes they will be overweight, unfit and unhealthy, they will most likely revert back to that old behaviour. 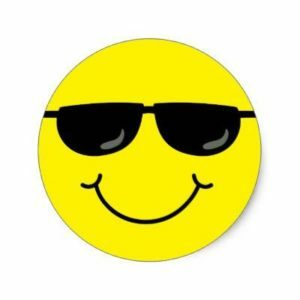 How can hypnosis make things easier? Hypnosis and hypnotherapy are so wonderful as we can change how a person sees themselves. Once this new belief has been created, changing beliefs, habits and behaviours are so much easier and results are seen so much faster. 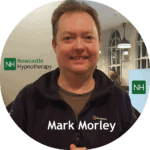 If you are now ready to also change your life, lose weight with hypnosis, increase your energy and feel so much better, give Mark a call on 07568 455 809 and we can arrange your free consultation.